I wonder why this group is always under performing compared to how well England does at XVs, especially with some of the same people or ones who'd walk into the XVs team. They need the Aussie 7's coach. An issue is England have never really taken 7's seriously and getting a silver last Olympics (In Team GB) papered over cracks. the fact is where is the success of England's 7's coaches? Far to many English coaches are in the system, passing all the English coaching certificates, being good mates with the powers that be and not actually doing anything on their CV to actually have a stamp of "success" to get promotions. To put it in context, before Eddie Jones the RFU had not appointed a single successful club or national coach of the men's England XV's team for over 2 decades. Woodward, Robinson, Ashton, Johnson and Lancaster. All of whom could talk a good game, all of whom in the system or close with the big wigs of the RFU. Once Woodward's ahead of the game move to professionalism occured and Rugby became more of a game of great coaches knowing the hundreds of things that move one team ahead of others the RFUs model just kept showing-up coaches who had fatal flaws that were not know because they were never in a position to actually get exposed for them as a head coach chasing success. I've coached representative teams on two occasions, but don't usually put it in my CV or never talk about it in terms of my development because it was a piece of piss to have the best, most-motivated players do what they do against weaker opposition. It's my bias because it's been my journey, but I think everyone wanting to climb the ranks should take on a school or club team for at least a couple of seasons - at the helm, not just as an assistant - and spend some more time (before / after) as an assistant with a big program (not unlike the route for NFL coaches who, if I'm not mistaken, have longer tenures than any other in professional team sport). I also wonder how much the women are still playing 7s like XVs? I've only seen highlights since we spoke before (iirc?) about how they were running into contact too much, whereas the best sevens teams are about avoiding contact, moving the ball and support before contact. Fair play to Brian Moore, he has consistently supported and featured the women's league on his podcast (and the Telegraph does a write-up as well), he almost always speaks with someone form the league every week the league, players, coaches etc to get some insights and he's obviously following the results and catching the highlights himself. Nieghorn, he's spoken to Holly Meyers a few times, he deffo has her phone number . Ha, ha ... cheers. It'd be just my luck (as it's been on a couple of occasions in the past) that'd she'd be into birds rather than blokes. ... whatever happened to Abi Chamberlain? Reckon she'd have done a job for the XVs team the last few years. 32 or 33 now, so maybe focusing on work. I know, the perils (or joys) of women's Rugby fans. Though, and I believe I have a good working knowledge of who is or isn't into their teammates this season (a fair few probabilities rather than certainties), I've never seen anything like that from her. Though you never know. Oh and what is it that Seven's seem to universally decide their national kits must be horrific as sort sort of rule? Last 2 days of the regular season of Premier Xvs where the snow day games are re-scheduled. Bristol vs Saracens, Worchester vs DMP and Firwood Waterloo vs Wasps. Sarries are playing their best team so Bristol will need a big performance to end on a high, though I susect Sarres want that #1 spot. Worcester are without a win this season (due to losing their entire 1st team to other clubs, I still wonder quite how this happened) and DMP could well be one of the teams they can honestly get a scalp against. Waterloo have come a long way over the season having never experienced top tier rugby and deserve credit for being a tough team to beat all season and nabbing a few wins. I can see them kick on for next season but for now I would think a 1st team Wasps would be to strong. 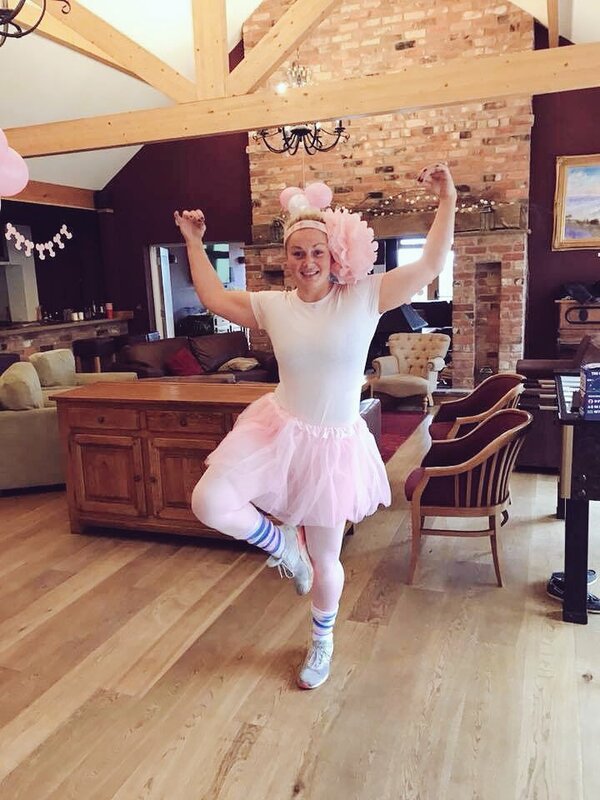 Posted to twitter by Izzy herself ... gotta say, she looks to be in the shape of her life at the moment. SA, Wales, Belgium, China, Kenya & Brazil each with 2 wins from 2 so far. Wales only just scraped past Poland though. 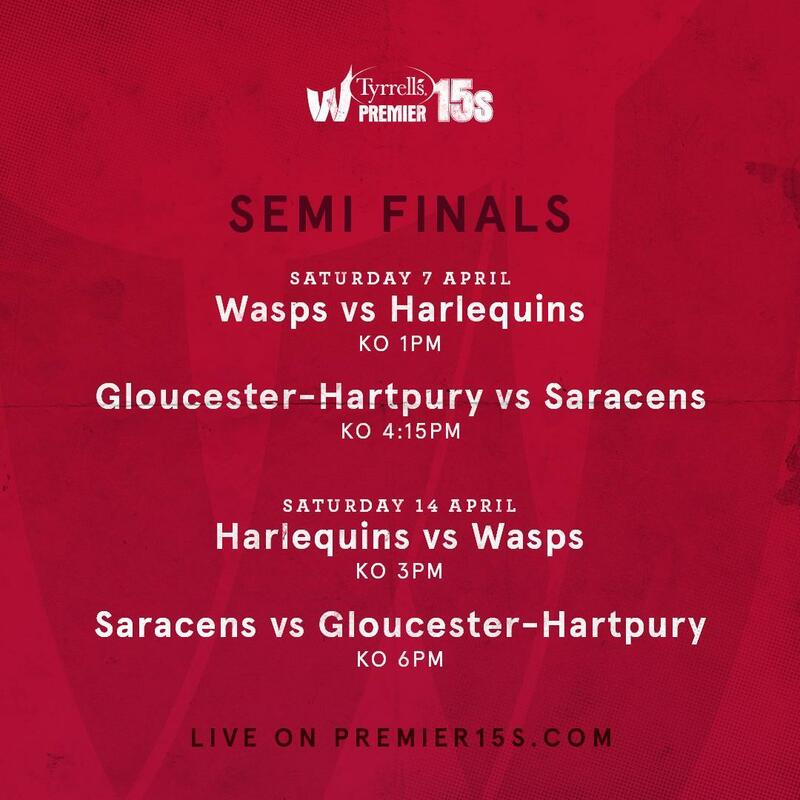 Next weekend we have Saracens vs Gloucester and Harlequins vs Wasps as the Semi's. Pre-Chrismas I'd have said guaranteed Sarries vs Quins. But now we have the wonderful situation where Wasps gained a half dozen England players and have got better as they integrated and Gloucester-Hartpury have played better and better as the season goes on to the point they haven't lost in 2018. The two favourites should still have the edge but it should certainly be no certain results here and a good probability of an upset. Agreed. Noel-Smith has always been one of those players whose engine and stamina far exceeded how fit she looked (a bit of a flubber). I guess the fact the teams have resources so players can keep training at professional levels all week. It's also telling Marley Packer looks in the shape of her life this past year or so. I guess both sharing the 7 shirt at Bristol and England meant nether always pushed themselves or had the opportunity to play 80 minutes constantly. Packer's move to Sarries has done them both good. If promotion's on the table next year, and if Lichfield are back in the hunt, they'd probably take what (presumably) few good players Wuss have left? I think we've speculated / enquired before, but it'd be interesting to know (just personnel losses?) why they've fallen so low? Thought they had a strong girls program as well? Wuss are still throwing classy players they developed out there.They basically have no grit or grizzled palyers a team needs, it's all girls. Why they were stung so badly with an exodus of players I genuinely have no idea. Likewise I don't know how or why Harlequins soaked up a few of Richmond's best players or how Bristol lost a lot. I mostly assume that for Sarries and Wasps London was hugely attractive and well connected but some clubs really upped their game on their training set-ups and plans and left others in the dust. I genuinely suspect other incentives were offered as well, generous perks and the like. Litchfield will be interesting, surely it's essential to have a club so brilliant at developing players, they have topped the lower league having to start their first team from scratch, in the elite here? I do believe there were screwed by Loughborough indirectly as the guy approving it all was basically closely connected to Loughborough (as offering the England captain a job good enough for her to leave the RFU as well). Now the women may train, eat and live like they are professionals, outside their full time jobs, but surely this liberal use of calling women Rugby players now "professional" is far to liberal as to basically be a lie when the definition of professionalism has always been to earn pay from the sport. It's a South Africa v China final in the HK WWSS qualifier. China ended Belgium's good run in the semis. China beat South Africa 31 - 14 and qualify as core team for HSBC World Rugby Women's Sevens Series 2019. Also a bit lazy to have two photos of sevens players? I watched the highlights from all the games and the standard was not good at all. I reckon our top clubs would thrash them (bold statement, but some of the defending was very average.) Rather than paying this group, money allocated to women would be better off - imo, don't know much about what's happening on the ground - paying to get more women coaches developing girls / women at the club level. Move beyond sevens and get full XVs leagues (10s where not yet possible), bringing up the standard. When I coached in Canberra, most teams could only muster 10 a side, somehow magically pulling 15 and subs together for playoffs. The team disappeared for a while, but has been back for a few years and it seems to have more players - and, importantly, more young players, so girls are latching on. As in other places, the major issue to fix was bridging the gap between when girls play with boys and the women's leagues. They lost a lot because there were no significant leagues club / school for teenage girls. My school had a team, but it only played in one festival, so got together a few weeks before for a one-off. Here's not my ideal, but we've built a pretty good system on a school league that only lasts a month and a half. Most girls in Canada play in the spring, which means end of April / beginning of June (when provincial finals are held, quickly followed by end-of-year exams). A very small fraction will play club in the summer. If they don't already have it, Australia (and other developing areas) should shoot for XVs over three months, at least, with a consistent run of games and no off-weeks. Because of the short season, girls here often play two games a week. Should be a good day of Rugby. 7-5 after 13 minutes. Waspes with a scorcher of a run from the wing and the ball gets to the openside who dodges two tackles to go ahead and Quins strike right back with some powerful forward work. Now Quins go ahead 10-7, have upped their game. Wasps attacking and Pocock gets the intercept, Waterman runs back 60m/70m yards for a last ditch tackle in the 5m zone. Sadly she was yellow carded for playing the ball, I thought that was harsh, but a few weird calls from the ref. Quins score straight off the scrum. Wasps start the 2nd half much better, try scored 14-17 to Quins now. Wasps score again, Dow in the corner. Wasps 19-17 up now. Great game! Quins take it 25-19. Some weird inexplicable decisions form Wasps at times but a good game. Saracens went 26-0 up before GH woke up. A thing I'm surprised at is how England seem to be behind France, NZ and Canada in terms of having big players. The number of relatively skinny backrowers who lack bulk it's no wonder a team like Saracens can easily dominate. I also see to many teams with bad ruck practice, just touching it. I'm not sure what's happening in North London/Hertfordshie/Essex but they are certainly training up girls as great rugby players with physicality as well as balls skills and ruck skills. Perhaps because they have had a pretty good recent tradition of girls rugby teams? Sarries killed it in the end. Gloucester never turned up. England U20 to tour Canada in August. Quins beat Wasps solidly and Sarries beat Hartpury, who played much better for the most part. The final on April 29th will be Quins vs Saracens for the title. Watched most of Quins v Wasps. Only one side in that. Burford's cut out pass for one of the tries in the corner was simply sublime! Does this photo sum up England v Wales encounters in the women's rugby? Nah. Wales will be on the floor not making the tackle usually. Which brings me to rant another frustration. Watching the Wales Kenya CWG match I'm amazed Wales seem so unaware of space and where and how to play. Like with some of my basic skills rants (running onto the pass, aiming for space etc) I wonder even when they have time, it's like their decisions are pre-determined. Also that bad habit of standing and watching the game, e.g. when their forwards took the ball into contact, you can see for ages that is what they are doing but players around stand back as if they are waiting for a pass. When the tackle is made they are still standing out there waiting for someone else to hit the ruck until they realise it has to be them. It was a similar job with England in the 6 Nations. What is it with British teams and this lack of using basic skills and ball watching expecting the game to do something they pre-determined it should do rather then moving and taking action based on what's in front of them. I can teach it to my kids. I teach them first 3 into a ruck no matter who), the rest spread into defence or attack lines. It takes a while but with encouragement it gets there and the kids them selves start taking charge of the organisation and reading the game as it is, e.g throwing more bodies into a ruck we might lose, reacting to a turn-over, etc. And we only play 4 months of rugby. Why is there this basic problem in adult British rugby? Actually wtaching Saracens women, that's a team who are coached to read the game well. Their young players seem to do a better job then most male England players. Mate, I think it's what they're being taught in all of these 'high performance' environments, and I suspect from things I hear out of my network, that they all are copying each other. Today, I watched two matches from the team I used to coach and it saddened me to see them playing that way, too. My successor played for the men's national team and I think their current one has some Irish women's connections so suspect they've followed the trends as well. Pods attacking middle of the pitch, backs attacking the wide channels; both taking it deep even when they're on the front foot. Offloading to someone who gets them no further over the gainline an that extra time allowing other defenders to get onside when a quickly-cleared ruck would catch stragglers offside / turned / not aligned. Very few running before the passer has passed in anticipation / to exploit. But they get away with it because their opponents aren't that great most of the time. One player in the backline of both teams was reading the opposition and playing accordingly (was a gem to coach and I wished she'd have come out of retirement to declare herself for the last WRWC... but also suspect the coaching staff wouldn't have wanted such a 'maverick'). I think our U20s will lose every match of the upcoming series. A mate of mine who coaches uni and I were talking earlier about our massive numbers of girls playing but the relative lack of quality hurting our talented / ambitious ones. They're not tested and they can get away with things that would never happen against quality Tyrell's teams or the English XVs. Perhaps, for all those losses, it's a good thing you are getting lots of games vs our development age group sides. A shame it seems there are so many limited countries to play against. This is where I hope Australia come in, they want the women's world cup next it seems, so I hope that means they start taking test rugby seriously and play regularly. Aussies are such natural ball players they would quickly develop into a good and competitive test side as the world cup shows. Interesting Brian Moore makes the point with so many quality women's players going to 7's but not winning tournaments why are so many quality plays taken away from the Tyrell's Premiership and 6 Nations, the later of which England failed to win. 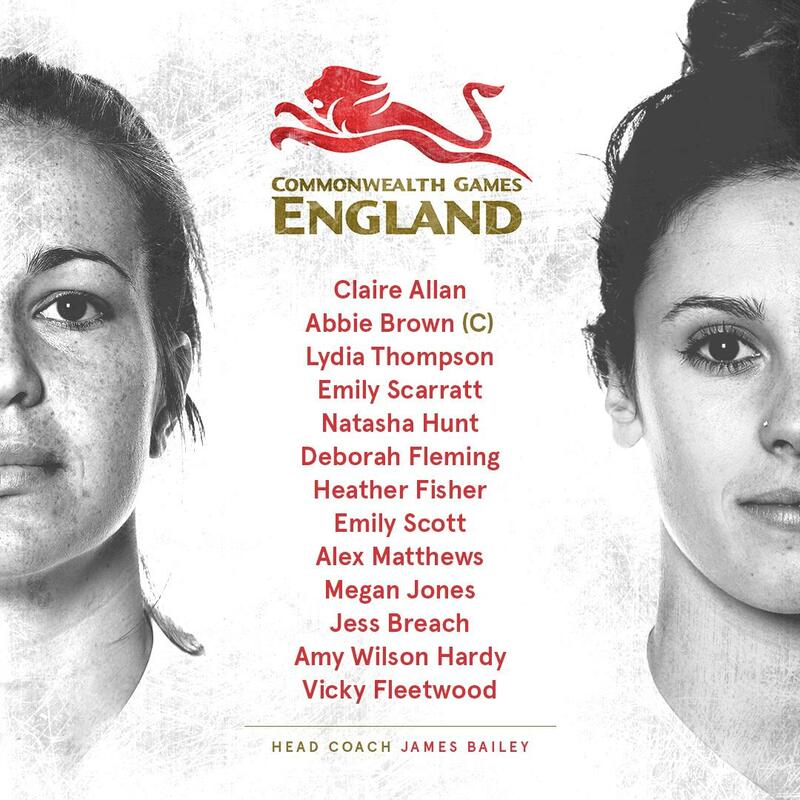 Also with some of the big women's names on the 7's circuits it's depriving England of exposure and growth. It's a good point. I might counter that the newbies in the squad for the 6 Nations performed at an exceptional level adding depth for England and no one was missed and the failure to win the 6 Nations was a few mistakes in the France game that come from England constantly using tactics that backfire, like their constant kicking game which always returns tries from top class opponents. I suppose one of the issues is payments. If you're someone who can do both and they're going to pay you all year to be a sevens player vs not so much or at all (young player not going to oust Waterman for example) for XVs, you go for the full time gig. 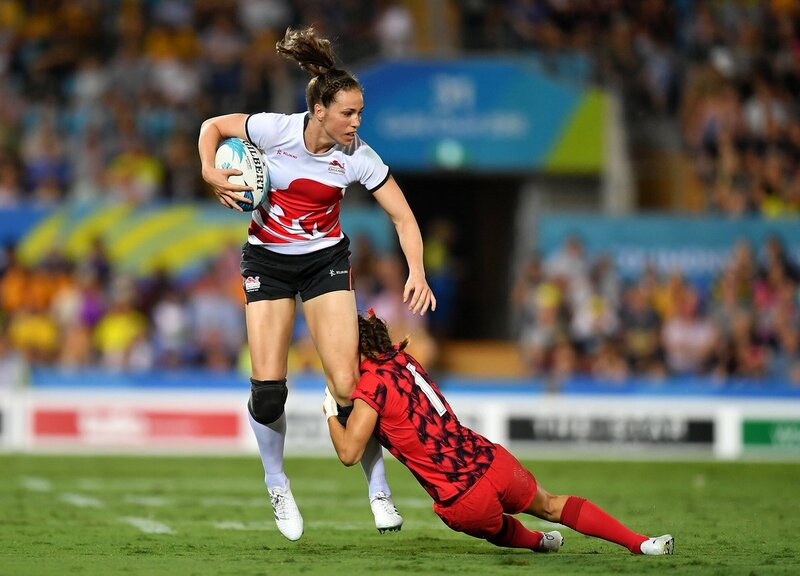 While not a great fly half, our Landry played some 10 years ago and was probably our best possible one for the last two World Cups, but made her commitment to 7s, probably at least partially due to 'job security' (I've also heard a rumour that Tait pressured them not to, and the few who did took a "What are you going to do about it?" stance.). Ina shock win Wales development beat England U18 development 26-20. England had some good players in there as well.